Lucia is the ill-fated girl who is forced to kill in the most important event of a young woman’s life: her wedding night. The character of Lucia in the romantic classic is the litmus test as to what constitutes a great soprano. And Christy is the right fit for the job. Born in Chicago but raised in Pasadena, California, Christy got her beginnings as a founding member of the Los Angeles Children’s Chorus. According to her family, she showed from early age passion and a disposition for the performing arts. During her high school years, Christy experimented with singing, dancing and acting. For her university studies, Christy considered between musical theater and opera. Ultimately, opera’s overall sense of contemporary emotion continued to surprise Christy, so she decided to major in voice. She is a graduate of Rice University and the University of Cincinnati College-Conservatory of Music. As a soprano opera singer, Christy has to be careful with her voice. This is the sixth time that Christy will play Lucia. "With every time, I discover three or four nuggets about her [Lucia] that I didn't know before, which makes it even more interesting for me," she said. 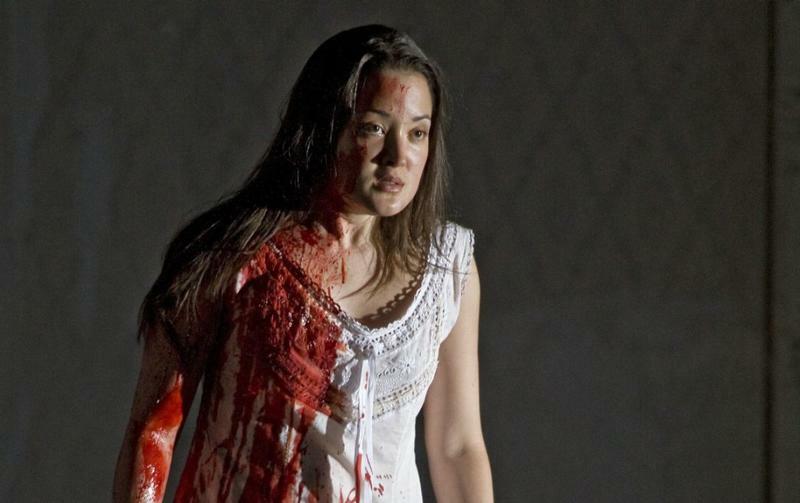 To audiences that have not seen Lucia di Lammermoor, Christy said: "You are going to be hooked. There’s no other way around it." Correction: The initial version of this story indicated that the show started at 8 p.m. The actual time of the performance is 7:30 p.m.